Some of today’s greatest minds seem to think that it’s entirely plausible that the world as we know it is little more than a giant simulation. Neil deGrasse Tyson in 2016 pegged the probability of such scenario at 50 percent while Elon Musk thinks there’s a one in a billion chance that we’re in base reality. If true, the amount of processing power that would be needed to pull off a simulation that’s indistinguishable from base reality would be orders of magnitude greater than anything we can even fathom at this point in time. Indeed, we’ve only barely scratched the surface of mapping the visible universe using our own cutting-edge technology. Researchers at the University of Zurich in Switzerland have spent the last three years creating what is now the largest simulation of the universe. The code they developed, known as PKDGRAV3, was created specifically to take advantage of resources afforded by a supercomputer – in this case, the Piz Daint supercomputer located at the Swiss National Computing Center (CSCS). Over the course of 80 hours, the machine compiled the code which generated a virtual universe consisting of two trillion macro-particles. 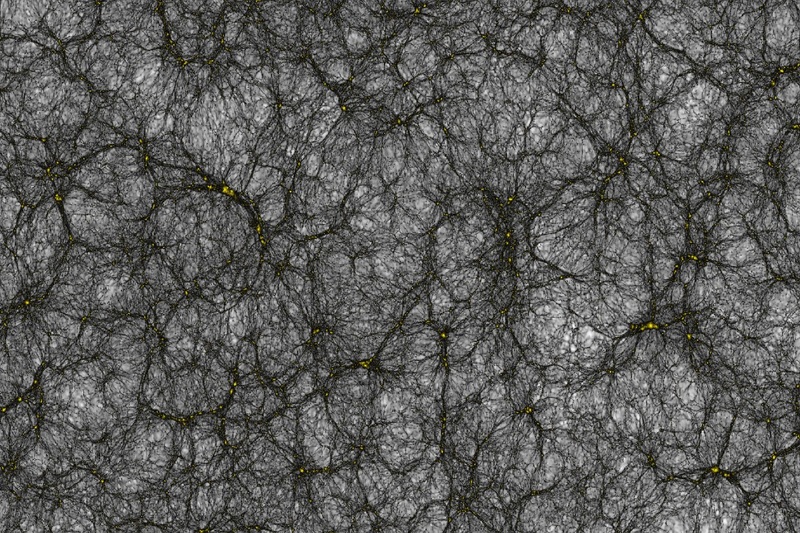 That data was used to create a catalog composed of 25 billion virtual galaxies. That's a bunch. The catalog will be loaded aboard the ESA’s Euclid spacecraft in 2020. Euclid will spend 6.25 years in space in hopes of bettering our understanding of dark matter and dark energy.